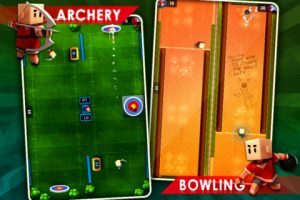 Take FIFA, Madden, NBA, NHL, Brunswick, Grand Slam, PGA Tour and the bow-and-arrow bits from Zelda, cut them down to the very basic elements that make them fun, include up to 8-player competitive play, loads of unlockables and apply dip-in, dip-out touch screen gameplay. That’s about as close to Flick Champions as an overly wordy recipe of intangible goods can get. 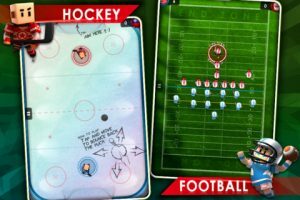 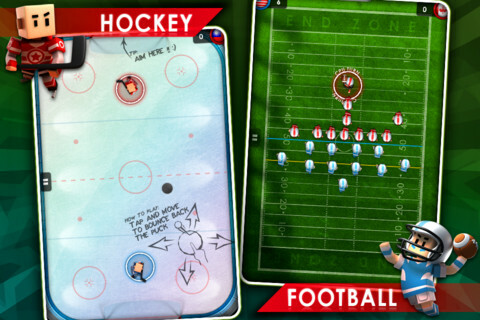 It’s brilliant fun, it has crisp, clear visuals, enjoyable music (with some really brilliant sound effects, particularly the football chants), and it’s only $0.99. 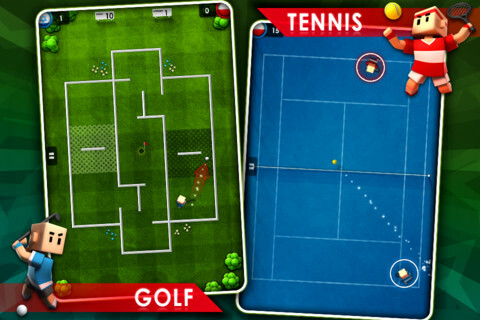 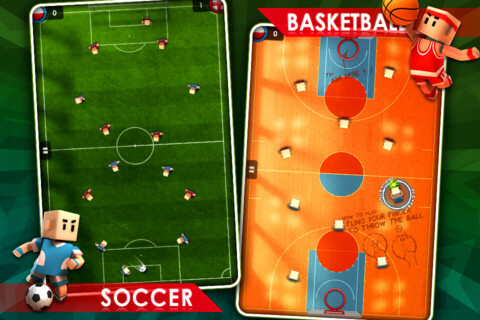 The games vary in their similarity to the actual sports they represent; football is a pretty faithful replication, except that you can’t actually move the players, you simply flick to pass the ball to an ideally placed player and then shoot (the players move around a bit with each goal scored, so it’s not the same the whole way through the game), whereas tennis seems to be this new version of play in which the ball is allowed to bounce off of walls and out of the court and still be returned, but you’re allowed a lot more freedom in how you move your player. 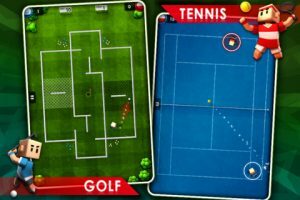 This said, all the sports do at least vaguely resemble what they would look like in real life, and where there are discrepancies, like in anti-grav tennis, it doesn’t detract from the fun of the game, it just makes it a little more simple and fast-paced and a lot of the time is an improvement. 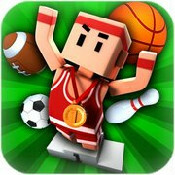 There are three levels of difficulty for each game, each with its own knockout cup, which will award you with funky sports equipment and achievements when completed; if there was one annoying thing about the game, it would have to be that you do have to invest a reasonable bit of time getting used to the first five or six games in order to farm enough experience to unlock the last two, golf and American football, but the games are enjoyable enough that as long as you pick up the mechanics (which aren’t difficult, there’s just a lot to take in at once with so many games available), you’ll find you want to spend an hour or so playing through the cups and getting your friends round for tournaments. 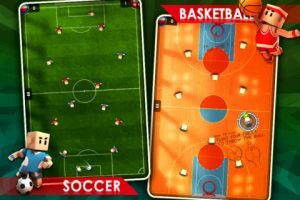 Bottom Line: Flick Champions is definitely worth the price tag, and if you want to be popular, maybe sticking a tenner in and buying a few mates a copy for a casual tournament sesh round yours now and then isn’t such a bad plan?